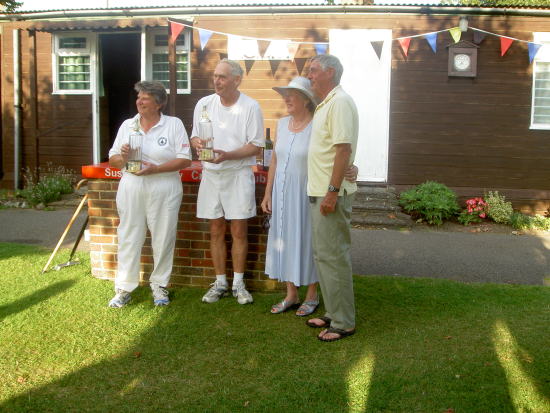 The Castell Soda Syphons were won by Pat and Richard Jackson in a closely fought final against Myra Gosney and John Constable. This is a new tournament, played as alternate stroke doubles, a format which Paul Castell has been championing for some time. Thanks to Paul for organising and managing the weekend, as well as providing an unusual pair of trophies for the event.